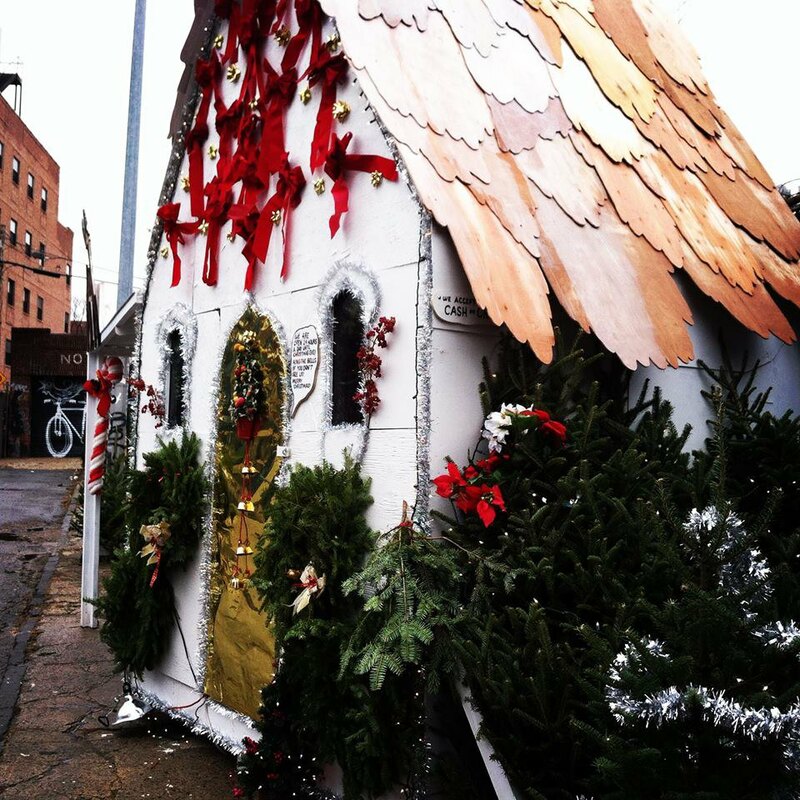 Christmastown is set to be "An Artist-Created Christmas Village and Tree Stand in the Heart of Bushwick," and the elves themselves are local artist/performer Patrick Costello and songwriter/poet Travis Sehorn. The story goes that these two Brooklynites made a quick stop up at the North Pole, did some bargaining over the whole polar vortex 2.0 thing, and will back a wild winter wonderland as a merry escape for us. 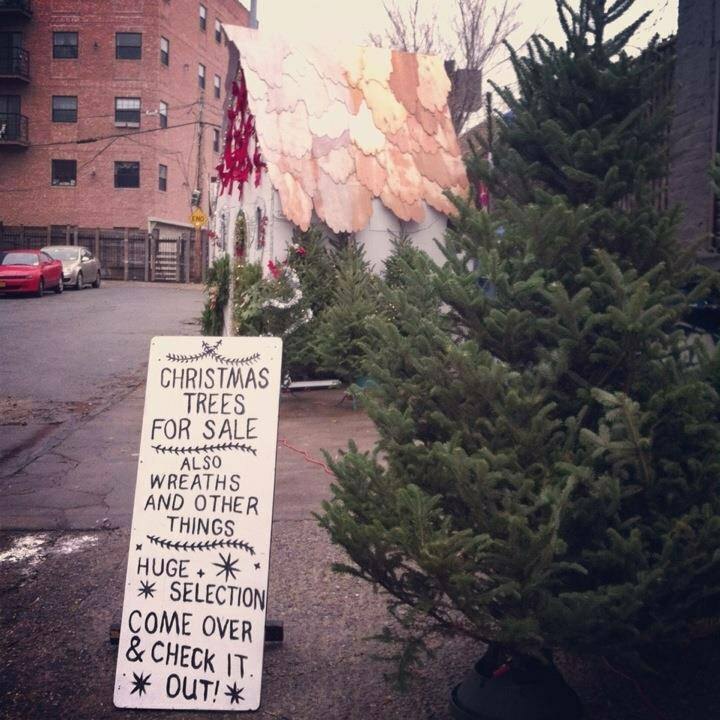 Setting up just outside of Shwick Market on Charles Place at Myrtle Avenue, Christmastown will feature a forest of holiday trees for sale plus a special line up of events, activities and Bushwick cheer (aww). Friday, November 28th marks the first night that you can browse the hundreds of Fraser and Balsam fir trees for sale through December. Patrick and Travis teamed up with Steve Moffatt, a small-scale tree farmer in Craftsbury, Vermont to bring you the perfect green and good-smelling addition to your Bushwick loft. If you need home-delivery they've got that covered as well. 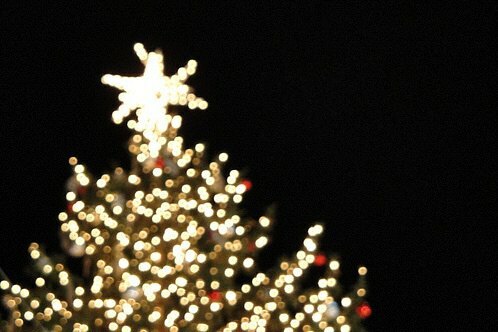 Add Christmastown's special events and celebrations to your calendar, stat! Art lovers, kids, gamers and theater fans: there will be a gallery opening, youth workshops, a 24/7 gingerbread house for treasure hunting, a Santa drag show (it is Bushwick, after all), game shows and among them all – a photobooth to capture the memories! 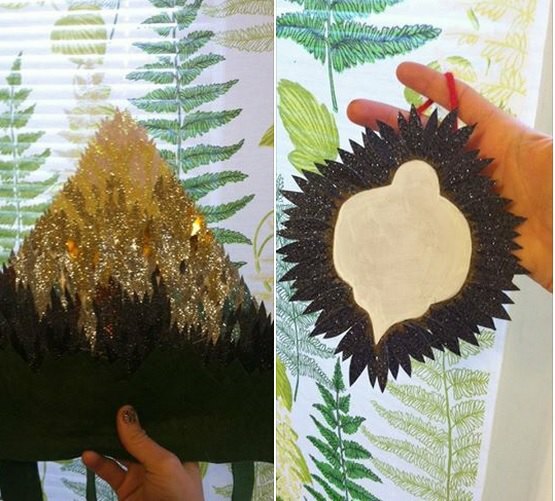 Get started on your holiday decor by picking up your own tree decorating kit made by local artists. The kits will be on sale inside of Christmastown's on-site Lovely Branches Gallery. Enjoy all sorts of tinsel-y fun with this holiday edition game show created by Chantal Pavageaux and hosted by Gabby Glitter, taking place inside the beach bar-meets-contemporary art setting of Happy Fun Hideaway. Patrick and Travis have hinted: this will not be the holiday review you grew up watching with your parents. This is Bushwick after all, so come for an evening of performances, songs, puppet shows, and maybe even a little Santa drag. Bushwick parents: no clue what to do with your child's letter to Santa? No need to stash it in your top drawer (you know... the one with all your underwear). Bring it to Christmastown for drop off in their mailbox and you just may get a clever response. Children of all ages are also encouraged to drop by for arts and crafts workshops and ornament making. Christmastown is located at Charles Place inside the cul-de-sac at Myrtle Avenue and will run throughout the month of December. Check them out on Facebook and Instagram for news and updates!